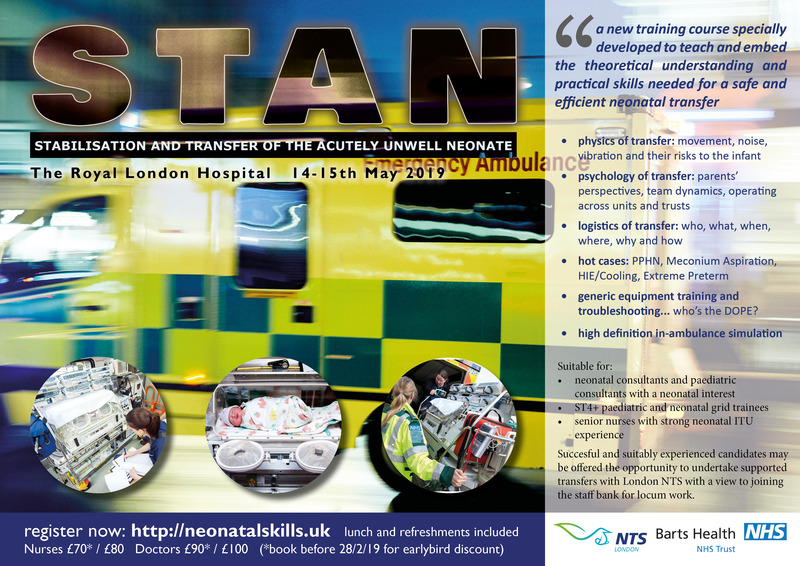 STAN (Stabilisation of the Acutely unwell Neonate) is a training course that was launched Autumn 2018, specially developed to teach and embed the theoretical understanding and practical skills needed for a safe and efficient neonatal transfer. The programme consists of two days of lectures, seminar discussions and high-definition simulation led by consultants and senior clinicians from NTS, London’s dedicated neonatal transfer service. Book before end of February 2018 to get £10 earlybird discount..! Ticket price includes lunch and refreshments. The Royal London is a leading, internationally renowned teaching hospital based in east London.